FSDH Merchant Bank says they expect September inflation rate to rise further to 11.37 per cent from 11.23 per cent recorded in August. 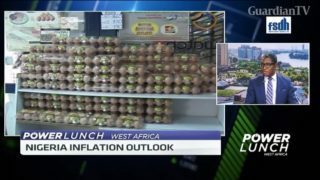 Ayodele Akinwunmi, Head of Research at FSDH Merchant Bank joins CNBC Africa to discuss the outlook for inflation in the fourth quarter. The Nigerian Stock Exchange consolidated gains recorded on Wednesday, extending its bullish streak to a second straight session. 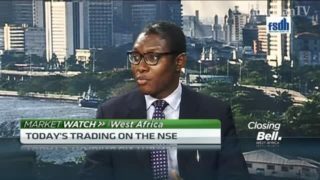 Ayodele Akinwunmi, Head of Research at FSDH Merchant Bank joins CNBC Africa to share his highlights of the trading day.